My First Comic: Spider-Gwen, Vol. 0: Most Wanted? 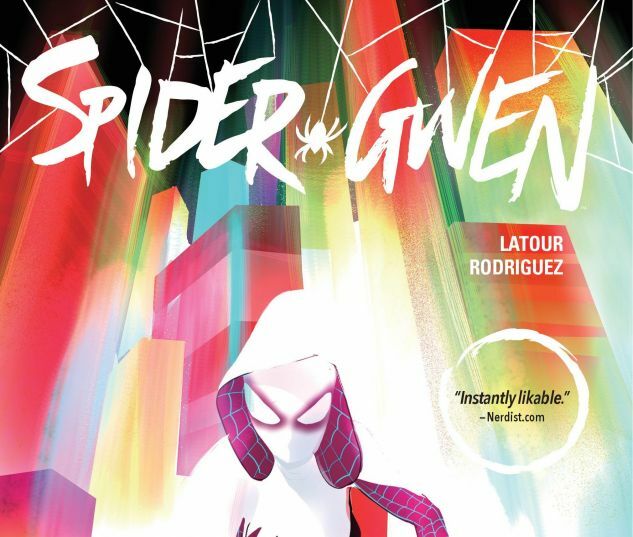 Even though I'm a major fangirl of the Marvel Cinematic Universe, I had never finished a comic book... until this year, when I picked up Spider-Gwen by Latour Rodriguez. I was intrigued by the cover's bright style and the concept of Gwen in spider-superhero-form. I wasn't disappointed! As a whole, the story of Gwen was intriguing. 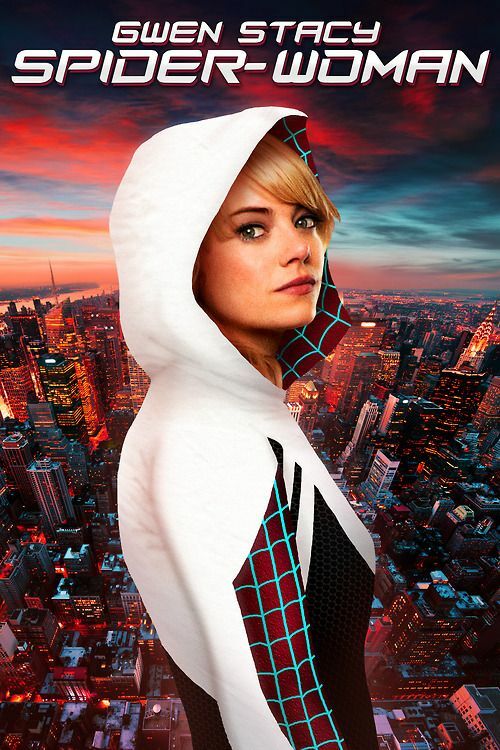 Gwen Stacy, prompted by the death of Peter Parker, has taken on the role of superhero and vigilante. The comic follows her attempts to save Manhattan, balance her family life, and stay true to her friends (who also double as her band, The Mary Janes). Naturally, Gwen struggles with all of those things, especially figuring out how to beat one of her first enemies: the Vulture, who was definitely formidable. Though this isn't Gwen's origin story, it was still a good set-up to Gwen's character and story line. One of my favorite parts of this comic was that we got appearances by other well-known comic characters. Matt Murdock, Foggy Nelson, Frank Castle, Wilson Fisk, and Spider-Ham all made brilliant appearances. As a major Daredevil fan, I fangirled every time one of its characters showed up on the page. Each of them had a various twist, as well--for example, Frank Castle was a cop, and Matt Murdock was a little more anti-hero than hero. I loved it. We also got a new twist on a familiar character--Mary Jane Watson. 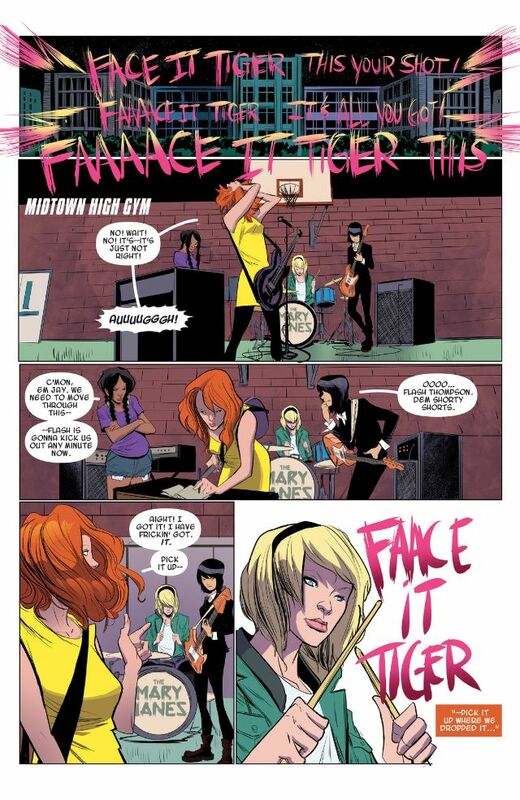 In this universe, Mary Jane and Gwen are friends and part of a girl band, aptly named the Mary Janes. They played a large role in the story, and it was really neat to see Gwen's friendship with her band members. I love that the camaraderie between girls was highlighted--we need more of that! Another favorite aspect was Gwen's relationship with her father. He worried about her yet ultimately supported her, and they stayed close despite Gwen's vigilante adventures. 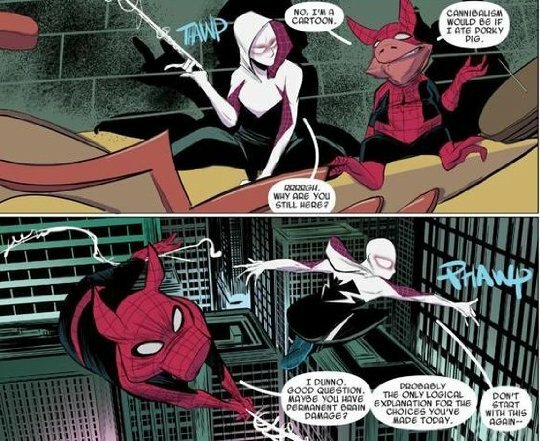 My only complaints about this comic were that I was mildly confused--Spider-Gwen skips over the origin story and delves straight into the action, which is both exciting and a little confusing. 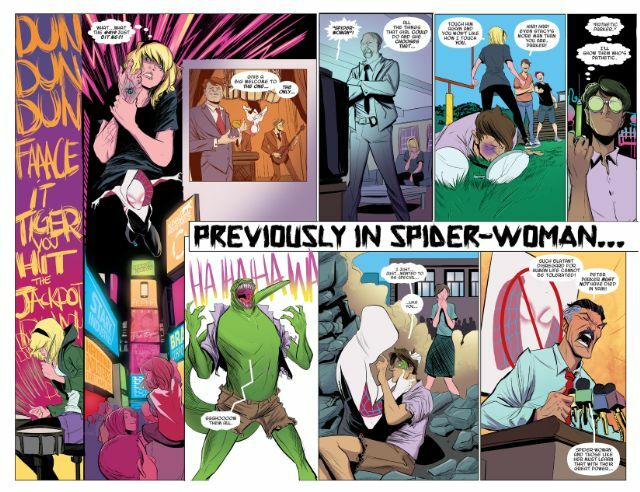 This is because Gwen's first appearance as Spider-Woman was in Edge of Spider-Verse #2. 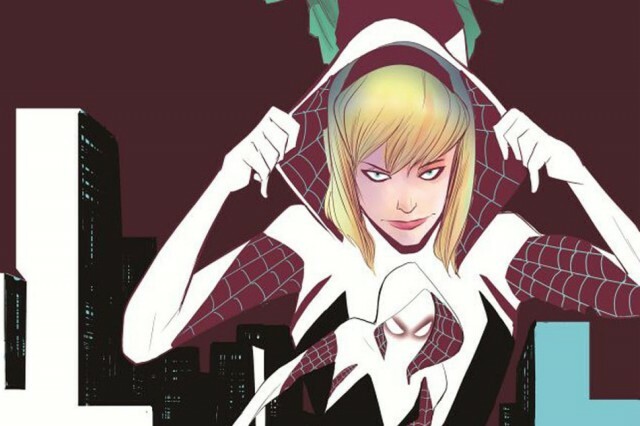 So if origin stories are more your style, I'd recommend that you start there and then read Spider-Gwen. You absolutely don't have to read it first though--I was able to pick up pretty quickly what was going on, especially because there's a recap at the beginning. The bright and unique art style took some getting used to, but as a novice comic fan, I really enjoyed it. The writing was solid, and the comic letterers left little notes on the pages, which were fun to read. I especially enjoyed the fun addition of Spider-Ham, who was downright hilarious. As a first comic, Spider-Gwen was a really fun read. I got swept up into the action and got attached to the characters. 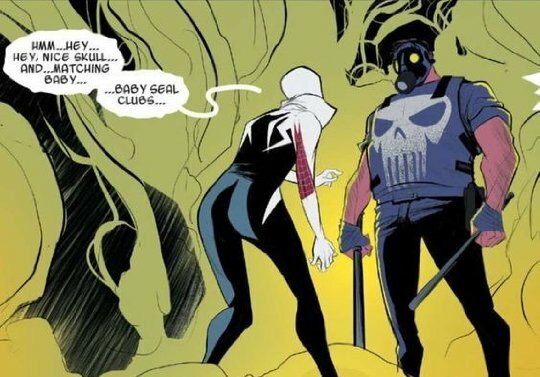 I'll definitely be reading more of Spider-Gwen's series, and I'm definitely glad I decided to start reading comic books. The comic world hasn't seen the last of me! What was your first comic book? Do you like Spider-Gwen? Which comics should I read next? Sound off in the comments! P.S. - Can this be a thing? Please? 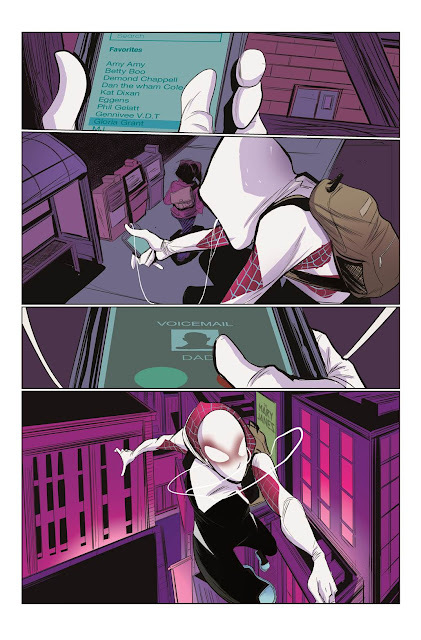 Spider-Gwen was so much better than I was expecting when I read it. I didn't know if would enjoy it so much. Petition for a Netflix show. Please, Marvel?